Pre-market trading occurs before stock markets open each weekday morning. 2. Do All Stocks Allow Pre-Market Trading? The hours immediately preceding a regular trading day often see the release of economic data from the federal government and news or earnings announcements from major companies. Investors seeking to get a jump-start on a day's momentum can trade in the pre-market session, which in turn impacts stock prices in regular market hours. Seeing prevailing prices in premarket trading naturally influences what buyers are willing to offer and existing shareholders' willingness to sell at particular price points. People buying and selling stock naturally take into account price information before and after-hours trading sessions as well as from during the traditional trading day. Premarket and after hours stock quotes can motivate people to buy or sell to grab what appears to be a bargain stock, dump a stock that looks to be headed down in price or take advantage of a rising price to sell. Pre-market stock trading in most U.S. stock markets occurs on weekday mornings before 9:30 a.m. EST. The opening hour for pre-market trades varies with each stock exchange, with some opening as early as 4:00 a.m. EST. 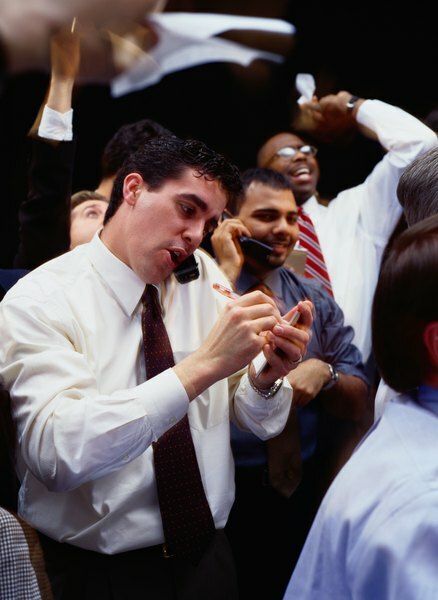 Pre-market trades are executed on computer-based systems including alternative trading systems and electronic communications networks, which are operated by brokerage firms. Historically, individual investors' access to this trading window was limited, but many retail brokerages now offer the option to retail customers. That said, most of the investors active in pre-market trading are professionals from large firms including major mutual funds. After hours market trading works in a similar way, giving investors the opportunity to buy and sell stock after the 4:00 p.m. close. Trading volumes in the pre-market session are typically much lower compared with regular trading hours, when plenty of buyers and sellers are present to facilitate stock trades. With fewer participants active before 9:30 a.m., investors can find it more difficult to execute transactions. Buyers and sellers have less liquidity, or ability to convert stocks into cash, so prices may not adjust as quickly as they do in the regular session. Still, prices naturally shift as traders bid prices higher and lower, especially if there was news about a particular company after trading hours that can lead investors to want to buy or sell quickly. Reduced trading activity in the pre-market period also translates to bigger spreads between stocks' bid and ask prices. Investors may struggle relatively more to get trades executed or to get the price they want for an equity. Pre-market stock prices do not always accurately reflect prices later seen during regular market hours, so the potential for discrepancies exists. Of course, prices can also shift dramatically during the regular closing day, with a day's closing price being sometimes dramatically different from the opening price. Additionally, with fewer buyers and sellers active in the hours before the market opens, stock prices can swing more -- in either direction -- based on less trading activity. This increased volatility can be seen when key economic data are released by the federal government or a company releases its earnings statements before the market opens. Price shifts may be less dramatic one the regular trading day begins, although investors will usually still be influenced by seeing what prices different stocks were selling for in the early morning hours. During the pre-market session, as well as in the after-market period, investors can experience trading delays or failures when problems occur between their brokerage and the electronic communications network, or ECN that actually executes the trade. Computer problems can prevent trade orders from reaching the ECN -- including orders to alter or cancel previously executed transactions, as well.